Hi! It's now over ten years since I became a full time writer - and it's still working out for me. In fact, getting better all the time! Right now, I'm working on some revisions for the U.S, edition of Worldshaker. The Australian edition is out in May, from Allen & Unwin, the American edition probably early nxt year. (Can't say more, but it was a BIG advance!) Worldshaker is a steampunk/Victoriana fantasy, in the tradition of Philip Pullman and Jonathan Stroud, I guess. I've been working on it for more than 15 years - seriously I started making notes for it all that time ago! I started work on it three times and finally got it right. What a great feeling, when something like that comes good in the end. There was, when I was about 11 or 12. My best friend at the time was my cousin who lived just down the road, and behind his house was an area we called the ‘chicken run'. No chickens, just an amazing collection of junk: old baths, rubber tires, carpets, packing cases, steel drums, planks of wood - you name it, we had it. We used that junk to build everything we could imagine - castles, airplanes, submarines, all big enough to live in. Then we invented adventures that sometimes ran for days, defending the castle, going on a mission in the submarine, etc. etc. One time when it wouldn't stop raining, we passed the time by writing out some of our adventures as short stories. My girl cousin read them and thought they were OK – ‘why didn’t you try selling them at school?’ So we made copies and hawked them around the playground in the lunch breaks. They were a huge success! We didn’t make much money from them so much, but we got heaps of candy, comix and stuff! Everyone wanted to swap things for our stories. That was when I discovered the thrill of having someone come up to you and say 'Hey, that was great, have you got another of those?’ From then on, I decided that my dream in life was to be a writer. It took a long, long time for the dream to come true – but I never gave up on it! I love this question because I’m always trying to convince people that storytelling is absolutely the most important human activity! I think we’re all born with an instinct for narrative as our fundamental way of making sense of the world. We know that one thing leads to another, and we’re sure it all hangs together if only we could get behind the surface of events. Someone is snappy with me at work – yes, but there has to be a reason, maybe their partner has threatened to leave or their kids said something hurtful. In real life, I’ll probably never discover the reason, I’m too busy batting off a million more pressing problems. But I’ll still believe there’s a story there. That’s why I love reading novels – because I can take time to see the workings behind the mess and chaos. Stories are real and meaningful even when they’re fictional! I think that’s a kind of meaning we have to hang on to, or life wouldn’t be worth living. 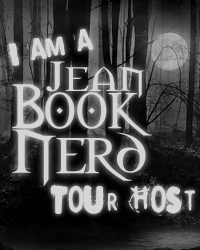 In your newest book; Liberator, can you tell my Book Nerd community a little about it and why they should read your novel? Liberator tells the story of the second phase of a revolution, when fanatics and extremists take over from the original revolutionaries and bring in an era of terror and persecution. It’s a sequel to Worldshaker, but it's also a stand-alone - no need to read them in order. The action takes place on board a juggernaut named ‘Liberator’, a vast moving mountain of machinery two miles long and three-quarters of a mile wide. This is an alternate history fantasy, where the 19th Century has taken a turn away from real history. By the time of the events in Liberator, steam age technology has evolved to the point of constructing land-vessels far larger than the largest present-day supertanker - yet still steam-powered, no oil, no chemicals, no electronics. Many such juggernauts roll over the surface of the globe, but ‘Liberator’ is the only one that has gone through a revolution and overthrown its tyrannical ruling class. Col used to belong to the old ruling class, and the new fanatical rulers won't let him leave that past behind. Riff is caught between her feelings for Col and her loyalties to her own people, the slaves who now rule the juggernaut. Mysterious acts of sabotage increase the fanatics' paranoia, and their paranoia grows to a kind of madness when other un-liberated juggernauts converge from all parts of the world to attack and destroy ‘Liberator’. The intensity builds up and up and up! What part of Col did you enjoy writing the most? Col is me in many ways, so I identify strongly with many things in his experience. In Liberator, I identify with him especially when Riff starts siding with her friends against him. He belongs to the old tyrannical ruling class, and she becomes embarrassed to be seen with him in public. Under peer group pressure, he finds himself getting gradually squeezed out of her life. Her new friend, Lye, becomes his particular enemy and competitor, bad-mouthing him to Riff at every opportunity. Those episodes have a lot of resonance for me – they practically wrote themselves! In Worldshaker, Col undergoes a dramatic shift when for the first time he starts to question the adult world around him. Before that, he’s been very good, very docile, very obedient – exactly as I was, up until the age of twelve. Like Col, I switched from obedience to rebellion very rapidly. It was like an awakening, almost a discovery that I had a personality of my own! Col’s switch is more extreme and happens at an older age, but I loved delving back into that strange phase of my own life. If you could introduce Riff to any character from another book, who would it be and why? I’d like Riff to meet Katniss from The Hunger Games. Partly because they’re similar – self-reliant, fast-thinking, fast-moving – but also because I’d like to see how they relate. I think Riff would become the leader – she has more experience of leadership, whereas Katniss is naturally more of a loner. Riff is also more advanced in ‘politiical’ awareness; whereas Katniss is always kicking against authority in small ways, it takes a long while before she really stands up against the system. On the other hand, I’d hope that Riff would learn from Katniss’s solid common-sense – she has a bad habit of acting on impulse and blundering into mistakes! I’ve had my international breakthrough as a writer of steampunk fiction, which fits with my own deepest inclinations. So that’s what I intend to keep writing … more novels set in the same world, where history took a very different turn at the start of the 19th Century. My next novel swaps to a female point of view. 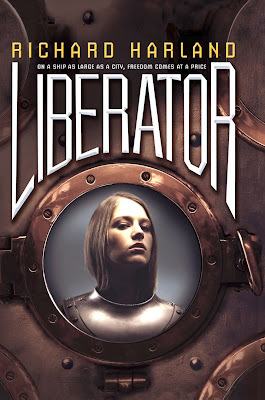 Liberator and Worldshaker are seen entirely through Col’s eyes and Col’s experience, but the main character and point of view in the new story is the girl Astor … which brings out a different kind of appeal and interest. The question every author dreads: “Where do you get your ideas?” My standard answer is about one quarter true. With Worldshaker, for example, I tell the story of the two dreams that inspired the novel. All true! What’s not so true is the suggestion that I’m revealing the whole inspiration for the world and story. In fact, three quarters of the inspiration came from the usual place - that is, absolutely nowhere, out of the blue, from thin air! I can’t pretend to have some secret meditative state, no trick with music or incantation or anything like that. For most of my idea, I just can’t say where they come from. 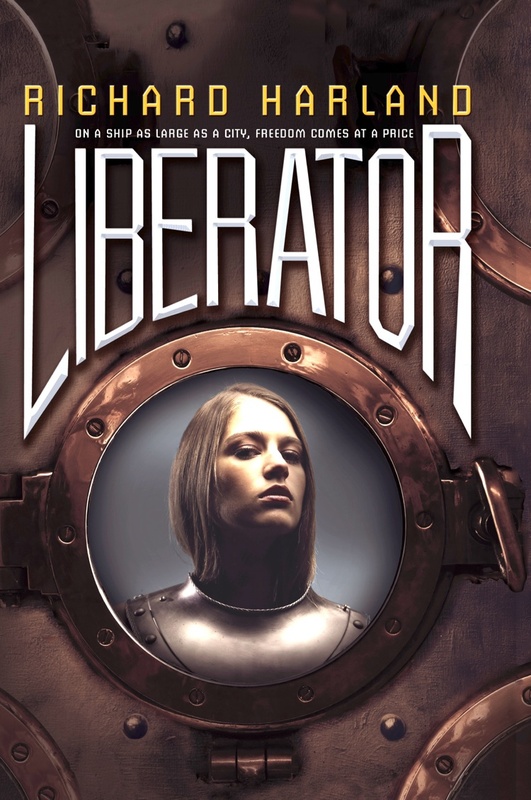 If someone asks me that question about Liberator, well, I won’t pretend or lie or say it began with a dream. But just watch me switch the question and answer as though I thought I was being asked about Worldshaker! What’s the best advice you can give writers to help them develop their own unique voice and style? This might seem perverse, but I’d say, the best way to develop your own unique voice and style is to stop worrying about it. Think about your story and characters, not about yourself! Plunge into your world and the experiences of those living within it! If you do have a distinctive slant on reality, it’ll come out anyway - because it needs to, because you can’t help it. Worrying about your own unique quality seems to me a dangerous approach – too self-regarding, over-concerned about your own image as an author. Pursue something beyond yourself, and your voice and style will take care of themselves. Maybe my worst summer job was when I was a kid in England. For six weeks, I worked on a delivery van, delivering grocery orders to houses in all the nearby villages. The worst part was the incredibly pedantic way everything had to be done so many times over. First, setting out all the orders on benches in the warehouse, divided by vertical wooden blocks; second, re-packing those same orders into large cardboard boxes, now separated by horizontal sheets of butcher’s paper; thirdly, taking out the orders in the back of the van and re-arranging them into smaller cardboard boxes for carrying into individual houses. And each time, every single tin and packet and bottle had to be checked off against the customer’s order book! Red tape nightmare! What is the one, single food that you would never give up? Ah, I’ve been thinking about this lately, because I’ve gone on a diet and surrendered many of my favourites. And I’ve discovered I can’t give up chocolate or corn chips or marzipan. Absolutely no way! Equality remains elusive in this stunning steampunk sequel to Worldshaker. In the aftermath of the events of Worldshaker, the Filthies control the massive juggernaut, now called Liberator. Many members of the former upper class, called Swanks, have remained behind to help teach them how to operate the juggernaut and to build a new society together. But all is not idyllic aboard Liberator. A saboteur seems determined to drive up anti-Swank sentiment among the more volatile Filthy factions. And the Swanks are finding that their best efforts to work with the Filthies are being tossed aside. Even Col, who thought his relationship with Riff was rock solid, is starting to see their friendship crumbling before him. As tensions run high and coal supplies run low, Liberator is on the verge of a crisis. Can Col and Riff unify their divided people before disaster strikes? Richard Harland’s well-crafted Liberator is a very intriguing look at a post-revolutionary world. The cities, or Juggernauts as they call it, are on rollers that travel the world using steampower. Even after the revolutionary, problems still plague the cities as they fight for power and deal with relations with the other cities. Richard has certainly created one of the most remarkable worlds I have ever encountered in a book. The way he describes these giant cities on wheels is simply superb. The rich descriptions he supplies will give readers an exact sense of how truly complicated and enormous the Juggernauts are. The plot is incredibly well thought through leaving no plot holes. It is very gripping right from the start and Richards manages to hold on to readers’ interests all the way to the end. The issues between the cities are very pragmatic. It is clear that Richard has done extensive research giving his incredible book real world problems. It continues on to his vivid descriptions of the Juggernauts. 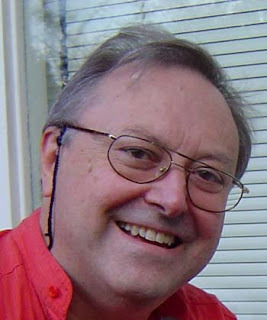 His writing style is clear and precise that leaves readers with a complete understanding of a world that is unlike ours. Liberator consists of all the elements for a great story: action, mystery, tense conflict and of course romance. With Richard’s writing leading the path, it is the perfect combination. Thank you Richard and Simon&Schuster for making this giveaway possible. I definitely can... I was running from something. I know that's not specific, but I have no idea from what I was running. It was weird. Thanks for the giveaway!!! No I cant remember my last one. Strangely enough, I rarely dream or remember my dreams anymore. When I was younger, I dreamed all the time... ugh I feel old. and I'm only 18! I definitely remember the dream, but it is too embarrassing to share LOL Thank you for the fun today and taking the time and effort to share with us. I remember. I said to a friend that I liked him which is kind of embarrassing. I very rarely remember my dreams, so I will have to say no. Yeap, it was really scary and a bit funny! I dreamed with zombies! I think I watch to many episodes of The Walking Dead!! We were running away from zombies and then out of nowhere Alice from Resident Evil saved our butts! I swear!! it's hazy - only the feelings really. I fell like I should remember my last dream. My son woke me up wanting to be fed, and I clearly remembered the dream then, but I fell back asleep, and the dream left me. Oh yes! I was being attacked by snakes (like pythons) that just kept appearing when I tried to leave the place I was at. Odd to cause I love snakes! Yeah, I was in my grandma'shouse, running around and desperatelytrying to find something, but I don't know what :) kind of nightmare, I guess.. I rarely remember my dreams, and I don't remember my last one. No, I don't remember my last dream.